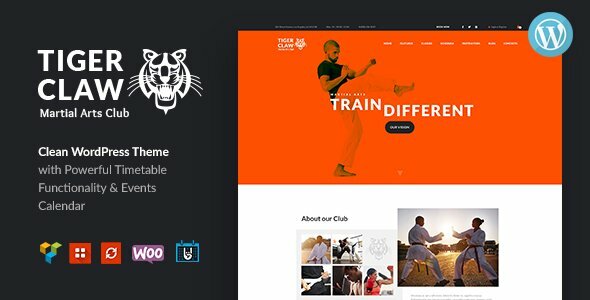 Tiger Claw is a modern and functional WordPress theme built specifically for martial arts, but it can be used for the entire sports industry. The theme is perfectly suitable for Karate school (Judo / Taekwondo / Aikido / Boxing), fitness clubs, personal trainers, gyms, сrossfit boxes, health centers and other sport and health-related business. Due to its WooCommerce compatibility, the theme can be a stunning online store of sports nutrition or sports equipment.